Catch up for the past eleven days. I do feel guilty for writing this at work, but what else am I to do while still awaiting Security Clearance besides simple admin tasks? So what has happened since my First Post? Had a four days off work. Started a serious Dog Training regime. Went to a 40th Birthday Party. Got my Gold Star on Gizmodo. On the day I made my first post, I found out that the annual leave allowance at work reset on the 1st of January and sadly I only had 25 days available to book for the next twelve months. It doesn’t actually work as whole days, I got given 187.5 hours of annual leave. When I told Gemma of this, she said I should book a week off at some point in the next few months to relax as our Christmas period of FAR from relaxing. So Monday rolled around and I asked to have the rest of the week off. It got approved and I was chuffed. While I was at home during the day, all I did was play PC games. Mainly Fallout: New Vegas but also Dungeons of Dredmor, Sins of a Solar Empire: Rebellion, Spec Ops: The Line and The Elder Scrolls V: Skyrim. My Girlfriend and I really wanted a new TV as we only had one. Sure some people get along fine with just one TV but there is a good reason for a second; The second lounge, AKA ‘The Games Room’. The idea of The Games Room was a dedicated room for the PC and games consoles as when we lived in a flat they were all in the one lounge with Sky and such. This caused noise issues if I was playing games on PC and Gemma wanted to watch TV. Even if I wore headphones, the incessant clicking of the mouse or bashing of the keyboard drove her crazy. So when we moved to our new house, not a flat, it had two lounges. The predicament was the fact we only had one TV that was only for the main lounge and with shelling out £1200 as a deposit, we could not afford one right away. So a week ago we ordered a new one. It is not a fancy 3D TV, nor is it absurdly big. It is a nice LG 42″ LED Full HD 1080p TV. Above is a picture of the TV in out Lounge. It looks a little bare in there. 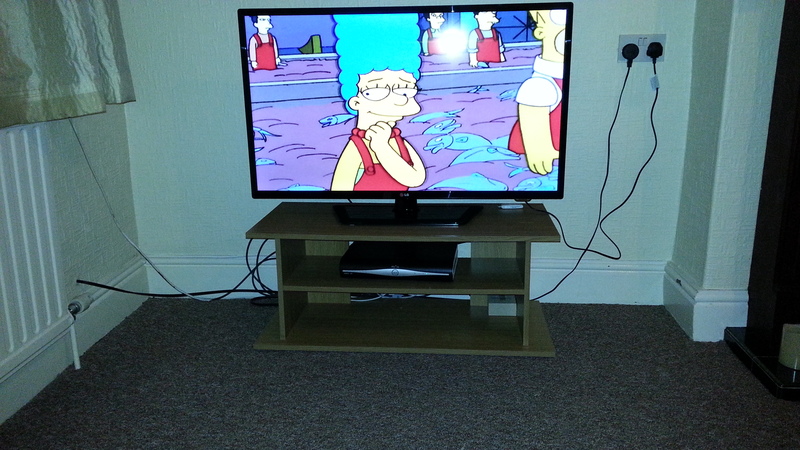 The Sky+HD box is lonely now that the games consoles are in the Games Room. Anyway, the picture quality is AMAZING, even on programmes which are not HD, the smoothing feature takes care to try and eliminate the pixelation. I don’t know much about TV tech but it is a damn sight better than the old Toshiba we had. I mean it was only 32″ and HD-Ready. Loser. We had a guy come round to teach us how to properly train our dog in a three hour session. 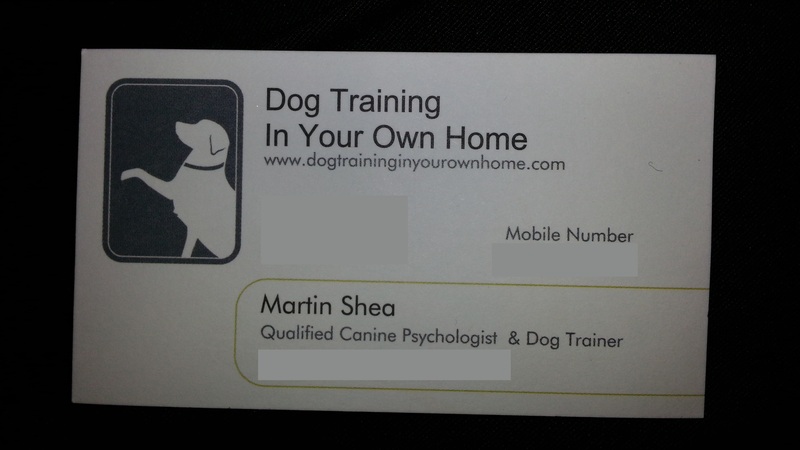 He is classed as a Canine Psychologist and Professional Dog Trainer. It’s got to be true. His card says so. Anyway, he showed up about 500 ways to be mean to our dog to show it we are in control. Okay, fine, its not being mean, I just feel mean when I do it. Our dog has always shown us nothing but love and affection and we have shown her an equal amount back. That is why she walks all over us. I just feel that if we keep up with the strict training, she will think we do not love her as much and get all doggy depressed, tell us she hates us and wants to run away from home. We need to keep up this training until she is not as protective of food, she walking properly on the lead, doesn’t bark at the door and she isn’t obsessed with toys. Hopefully she can grasp it quickly because I feel awful. It was Gemma’s Auntie’s 40th Birthday Party last Saturday. It meant we had to go to Macclesfield almost immediatly after the Dog Training. We got to Gemma’s mum’s house and then waited around for a while with her before leaving for the party. It was at The Queens Hotel. I have never known anyone to stay there or it even offer hotel facilities. It was a fun night with the loud music and booze and free food except for the fact that my Arch-Nemesis and her little minion slave-boy were there. 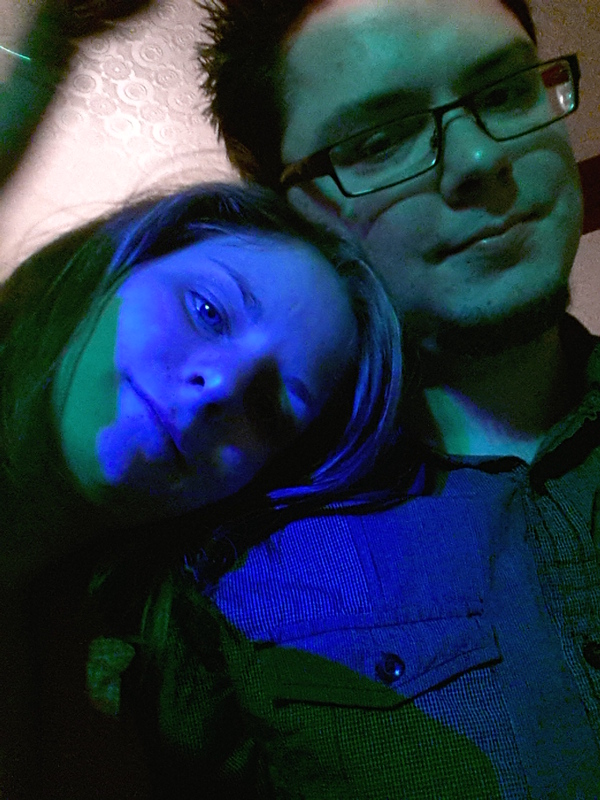 They looked miserable by the end of the night though, which is good. I got a Gold Star on my Gizmodo UK account today! I feel so loved. It shows that people do actually like my comments! Although it may just be because I come across as kind of creepy sometimes as “Someone Else” once told me. Oh well, I am happy. Happy, happy, happy. I am going to be playing either The Walking Dead (PC) or Lego Lord of the Rings (360) tonight with Gemma, while muching Domino’s Pizza. Work for the rest of the week. Well that is it so I shall bid you a farewell and have a good evening and week! This entry was posted in Catch Up and tagged Catch up, Dog, Dog training, Domino's Pizza, Lego Lord of the Rings, Lego LotR, Macclesfield, Manchester, My life, party, The Walking Dead, TV by NicholasTimothyJones. Bookmark the permalink.